Hoe hoe grow: Parcel ... don't mind if I do ! Even the most mature amongst us cannot resist the lure of a parcel through the post. 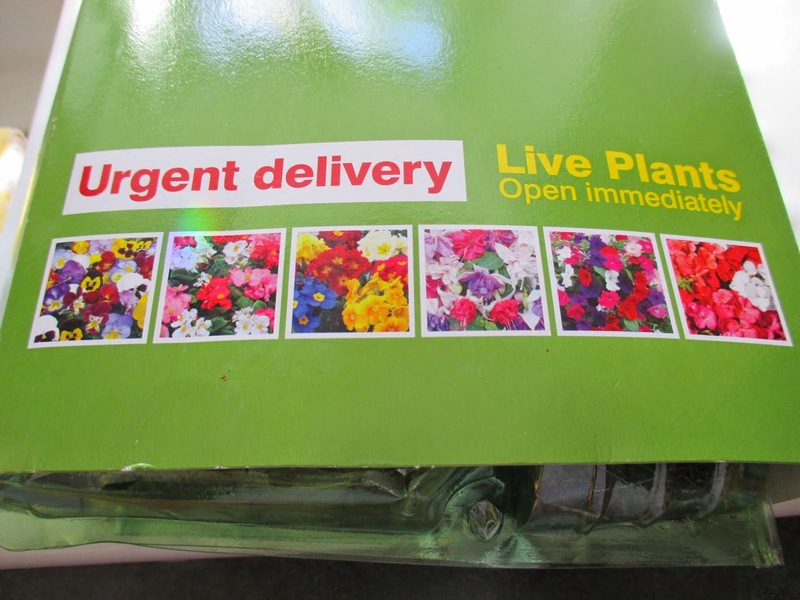 And if that package happens to have the words 'Live plants' on the front, then whose heart wouldn't skip a beat? Such a package came for me a few days ago. In a perfect world, there would have been a knock on my door, and I would have answered it to a rosy-cheeked postman, who would have handed it to me with a smile and a cheery word. As it was, the postman had thrown the package casually over the six foot gates and I found it a nano-second before the dogs did ! Luckily the packaging was excellent, and survived the ultimate test. When I was invited, with some fellow bloggers, to visit the Thompson & Morgan Trials ground a couple of weeks ago, something happened that seemed like part of some weird fantasy . All the visitors were handed a sheet of paper with new T & M plant introductions on, and asked to tick the ones they liked, and wished to have sent out to them. Would it be rude to tick them all ? I couldn't resist ! Back in the real world, I forgot about this list of plants ... until the postman threw the first batch over the gate ! 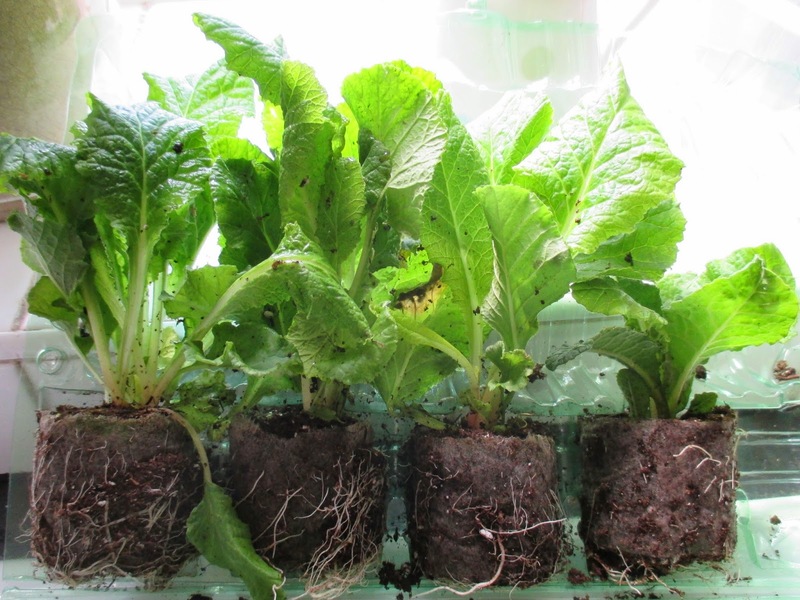 It was Belarina double primulas, which are a new introduction for Autumn 2014. 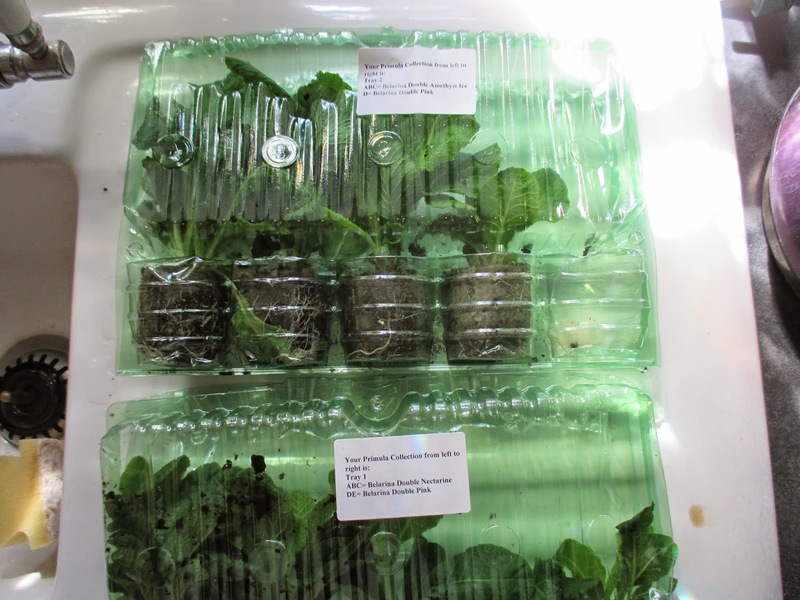 When I took off the cardboard outer sleeve of packaging, I saw that it contained 9 well grown plug plants of Primula Belarina. These are pom pom flowered doubles, and it is claimed that they flower well in adverse weather conditions, with tightly packed, rosebud blooms throughout Spring. They also stay nice and compact. Now I am a sucker for double primulas, always have been and always will be. My mum adored them and collected them whenever she saw them, and they were some of her most-prized plants. I feel the same and look out for them wherever I am. They always seem too exotic to bloom when the weather is so cold, and have the lushness of summer perennials. The plants were very clearly marked and labelled, as each cell had an indented letter on it, to help with identification. 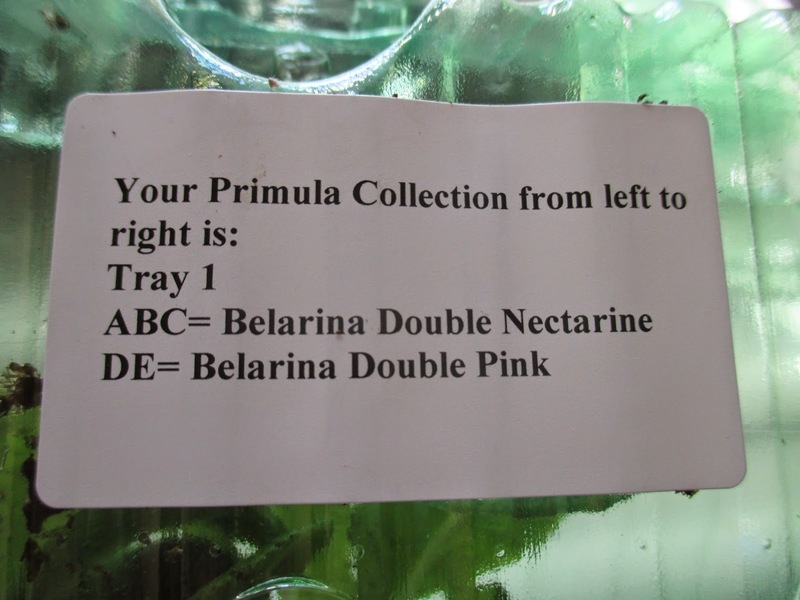 The plants came with clear instructions, written in an accessible style, using plain English. Even absolute beginners would have a good idea of what to do with their new plants. 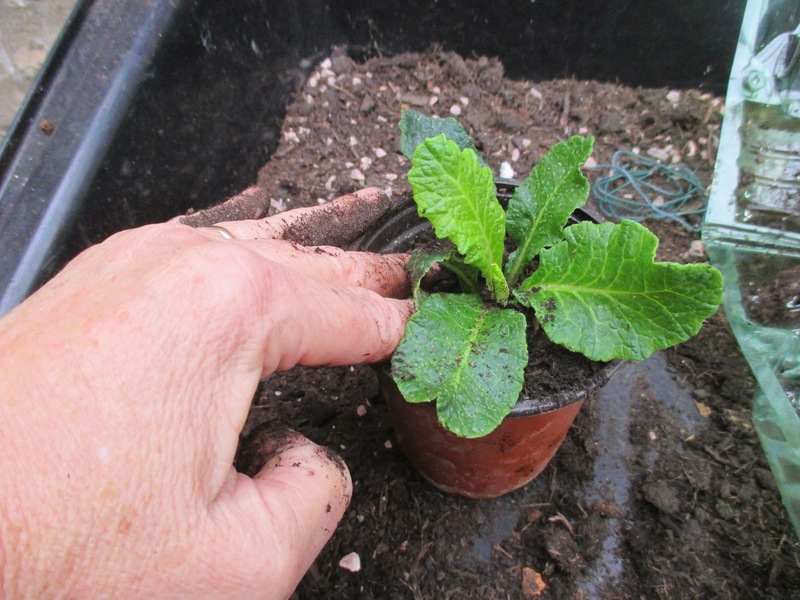 Although the plugs were still moist, healthy and green, I opened up the packaging, watered them, and left them for a couple of hours, before potting them into 9cm pots in the greenhouse. I used a compost mix with a very low percentage of peat, and a high percentage of sticks and bark!! It really does need sieving before every use. I have labelled each one using my newest labelling system - lolly sticks with permanent garden marker writing on one side, and black biro on the other. I want to compare how long the writing lasts using different types of pens and pencils as I am so fed up of faded labels, with writing I can't read. Below is a photograph of the Thompson & Morgan catalogue, showing the colours of the Belarina plugs. They are a mixture of 'Pink Ice' (self explanatory! ); 'Amethyst Ice' (purply one, I assume, with white edging) and 'Nectarine' (yellowy/ pinky/ orangey one, don't you think?). I particularly love the dark purply one, as I already have a similar one which gives me great pleasure. All the pots are now in the cool greenhouse, and I swear they have grown already over the last few days. I hope they live up to the catalogue description, and that they flower well for a long period, even through bad weather. 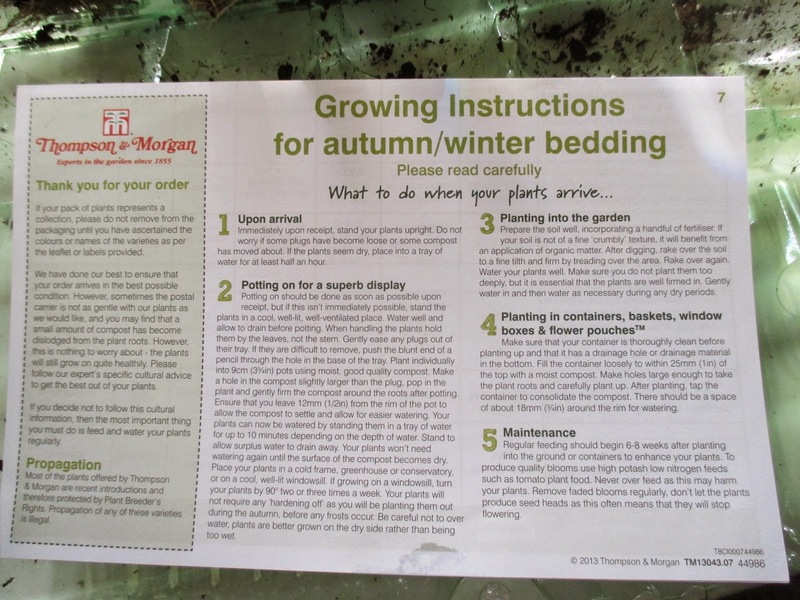 Thank you Thompson & Morgan - can't wait for the postman to throw my next package over the gate ! Oh... I want it too! Such a nice plant! I have never seen them have grown here, I think to hot here. Maybe they will grow well on the highland tropics. Hi Endah, I agree, I don't think that they would like the heat - shame ! Not really your sort of thing, I know, but they look as though they will be lovely! Time will tell! I have had a double lemon primrose for years - they act in just the same way as the singles as far as I can see - your colours are very pretty - should be an lovely added bonus in your borders. Our old postman used to be a gem - she would pop round the back and leave things in the greenhouse with a little note -sadly she has left and the new postman is a strict adherer to the rules - worse luck. Hi Elaine, bet your double lemon is gorgeous! Hope mine perform as well as the singles ! My postman seems to have his own set of rules which includes tossing parcels over the gate ! Good job they survived ! What a lovely surprise - how many ticks did you put. Maybe you need a catching net in the other side of the gate. How lovely, there's nothing like a plant for free. The primulas look so pretty too, a welcome addition to your garden I'm sure. Hi Paula, I do hope so ! I hope they live up to the description in the catalogue! What fun! I can't wait for your next delivery either.......I haven't had much luck with them but, Primulas are lovely and they bloom just when we need to see their beauty. Oh dear, Flower Freak, you have me worried now ! What went wrong ? Hi Amy, wow, that packaging must have been good ! Whereabouts in the world are you ? I didn't mean to alarm you, Jane. 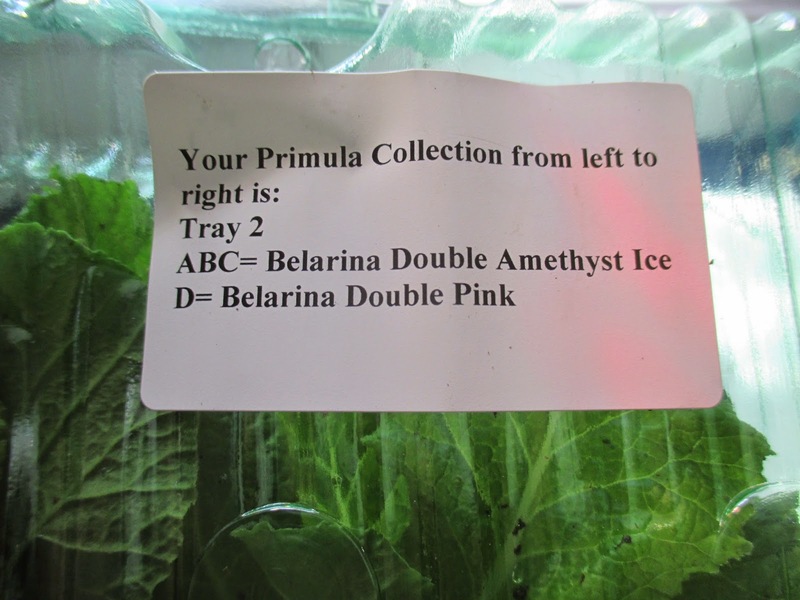 You will have amazing Primulas. I tried them the first year I was gardening and that may be what the problem was......inexperience. Phew ! That's a relief ! I killed off so many plants in my first few years it was a massacre! I can't believe he threw them over the fence! I love the orange-apricot ones the best although they are all beauties. It's amazing they survived the fall. I went back 2 weeks ago to prepare the class and the kids arrived on Tuesday. Nice group so far. I'm only teaching 110 instead of the 165 I've had in the past. I'm close friends with the other teachers on my team, which helps make the day fun. Having quite literally delivered thousands of these parcels in my career - I can honestly say I am embarrassed to say I work for the same company, although we can't always be sure now as there are so many delivery companies. 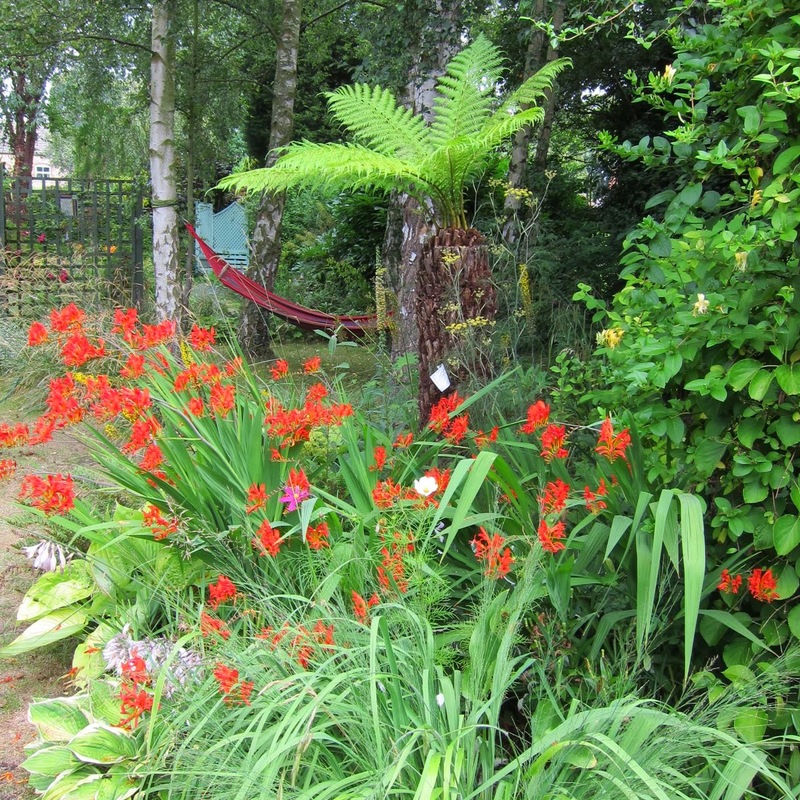 I had my regular customers that received plants regularly and always arranged a safe place to put them in their garden. That said, I'm glad no damage was done and you recieved what looks like very healthy plants. I've heard mixed reviews of T&M in the past - good luck with them. 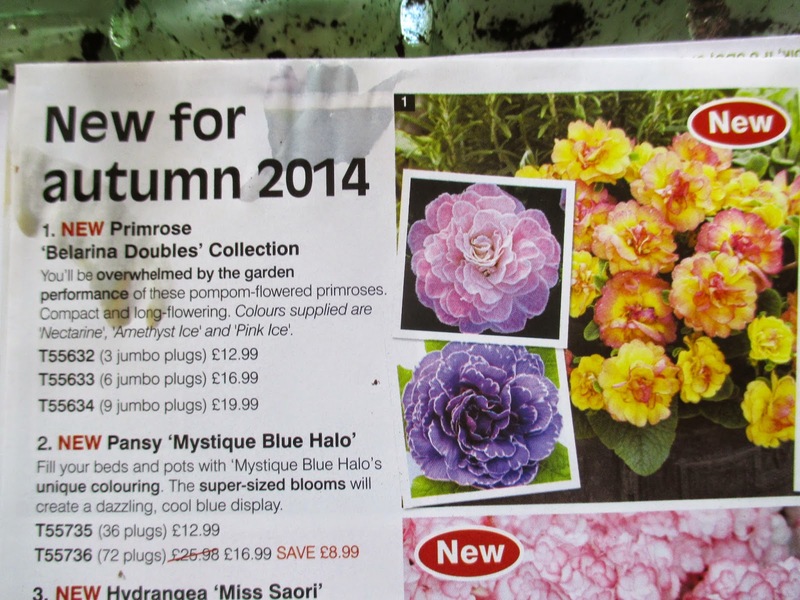 I love Primula too and that's a nice wee selection you have. 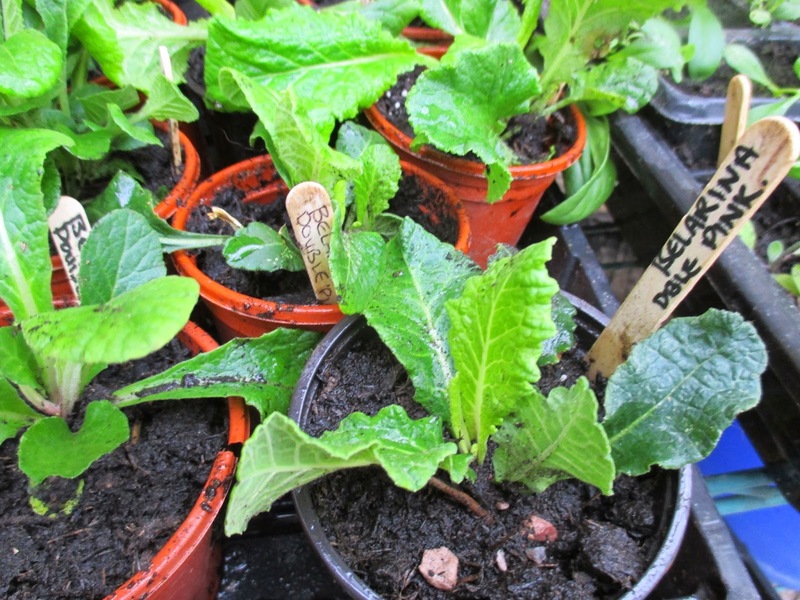 All I've aspired to in the primula line is the English primrose Primula vulgaris. I had the seeds sent out from England so they were just a teensy bit expensive. Trying out new introductions sounds exciting. Do you have to send in a report or anything? Hi Susan, our native primrose is lovely and we have a lot growing around our wildlife pond, which are such a pleasure in the Spring! I don't have to write reports on the plants, but just enjoy them !! I love getting packages, especially packages of plants. Mine are never so colorful, though. And I must say those are some very fine looking specimens. Enjoy! I don't think we ever grow out of that excitement that we feel as children, when a parcel arrives. As an adult, I can't think of anything better than a package of plants!